The EYFS Curriculum sets out the standards for learning, development and care for children from birth to five years of age. 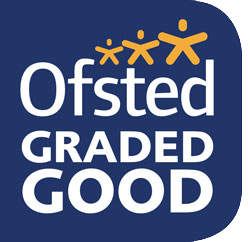 It states the recommendations and legal requirements that we are obliged to follow as an OFSTED inspected Pre-School. Children develop and learn in different ways. The framework covers the education and care of all children in early years provision, including children with special educational needs and disabilities. Practitioners teach children by ensuring challenging, playful opportunities across the prime and specific areas of learning and development. The EYFS curriculum consists of seven areas of learning, which each outline statements that children should achieve. There are three Prime Areas and four Specific Areas of learning. The Prime areas of learning are those fundamental areas, of which it is expected your child should best achieve by the time they are five years old at a normal developmental rate. 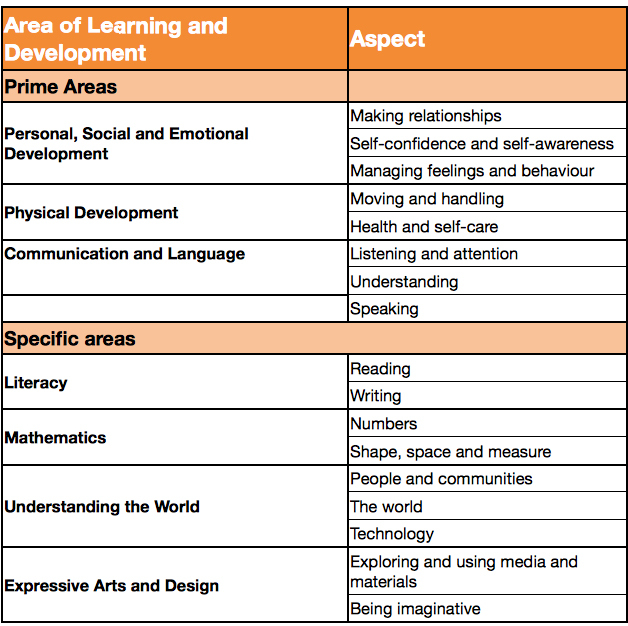 The Specific areas are equally as important but are areas and skills that can be learnt at any time in a child’s life. It is not so developmentally important for your child to achieve all the statements for the specific areas by age 5. However, we encourage all children to make as much progress across all areas of development at they can through play based activities and daily short structured group inputs, according to their ability. The EYFS areas of learning are broken up into age bands. Each age band consists of development statements that the majority of children are expected to achieve at that particular age. The age bands we concentrate on are 16-26 months, 22-36 months, 30-50 months and 40-60 months. From the time the children join us at Pre-School through to when they make the transition to school, we will make observations and judgments about the children against the appropriate developmental age bands and statements that make up the areas of learning. These developmental statements within the age bands only provide us with a suggested typical range of development for a child of that age. It is important to remember that all children develop at different rates in their own ways. However, children who appear to be significantly underachieving against their typical age range band of development will be monitored to ensure that any Special Education Needs (SEN) are detected and supported in the appropriate way for that child and family. If you require any further information about the EYFS Curriculum, the planning, observation and assessment cycle or the Pre-School learning environment then please ask the Manager or Room Supervisor.